1. The form to the right contains the various plywood panel sizes we offer and the prices prior to shipping and tax. Check the Pine Plywood sizes you need, and indicate the quantity. 2. If you are interested in hardwood planks (3/8″ x 5 1/2″) indicate that and the lengths preferred and how many. Once we get that information we will respond back with a quote. 3. Make sure you include phone and zip and email so we can contact you with any additional questions. Send the infomation off to us. Once we have the information we will respond back with a quote including shipping and any tax that is applicable. * Please Note: If you are viewing this page on a mobile phone, please go to this page for ordering and pricing. We ship material throughout the United States. For large panel orders we use common freight carriers. All shipping prices are based on size, weight, and zip code. For smaller panel orders such as ceiling and or wall tiles we can often use UPS 7 day ground. Due to the unique configuration of most shipments each order must be individually computed. If needed we will email or call you back with additional questions pertaining to your request. Once you receive our quote, and you are ready to proceed, give us a call 415-883-5300 to place your order. We accept Master Card, Visa, and Discover. Filling out this form does not obligate you to anything. It is simply a tool to help you communicate with us the products you are interested in. Submit the form and the through follow up phone calls an or email we can further refine a possible order. 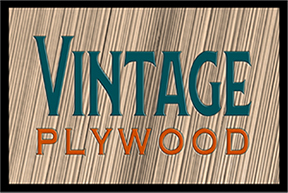 Or simply email us your questions at info@vintageplywood.com. Please note: Plywood panels are only available in pine. Hardwood solid stock planks vary in width based on your needs. Lengths will vary depending upon species and will be discussed. Filling out the form below is not placing an order, it’s the first step in getting your quote. Once you do, we will respond with a quote including shipping costs. You can then decide if you want to order. Prices based on quantity and species. Please indicate type of wood and amount and we will contact you with a quote. Please provide any additional comments or questions you have about your potential order below.